‘The Tibet Within’ is an independent Canadian documentary dedicated to the struggle for the preservation of the Tibetan culture and identity in exile. Through powerful images and moving interviews, the documentary pays homage to the Tibetans’ courage and determination. It presents their efforts to preserve their art, language and religion, while denouncing the constant violation of human rights in Tibet. Dharamshala, India, seat of the Tibetan government-in-exile and home of H.H. the Dalai Lama. 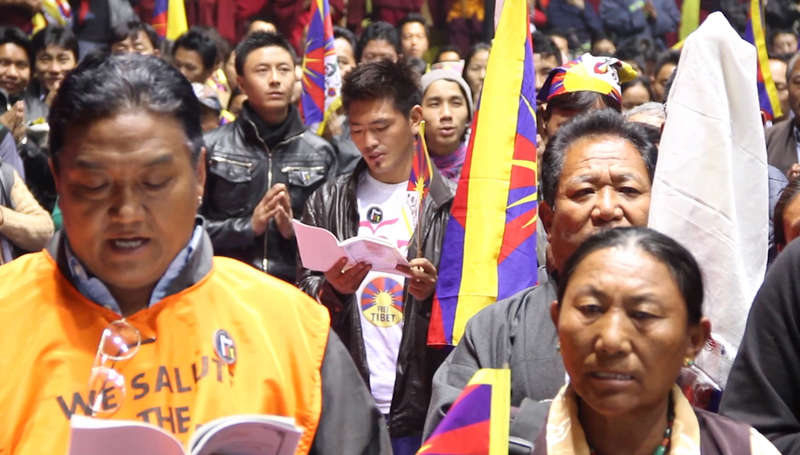 Filmed in India and Canada, the documentary depicts the same sense of urgency, either in large communities (100,000 Tibetans living in India) or smaller ones (such as the 100 Tibetans living in Montreal). Occupied by China in 1949, Tibetans are now a minority in their own country. They have been stripped of their basic human rights and are struggling to preserve their culture, language and identity. As an ultimate act of appeal and protest, 144 of them have self-immolated since 2009. Tibet has been closed off to media and international observer delegations for the past several years. Outside Tibet, close to 150,000 Tibetans live in exile. Freedom in exile has allowed them to continue their struggle and to preserve their culture, although their efforts have had to be increased, in order to reflect the new cultural realities of their host countries. Their cause is supported by numerous non-Tibetans, who recognize that a culture based on compassion and non-violence is an asset for humanity at large, well worth preserving and nurturing.